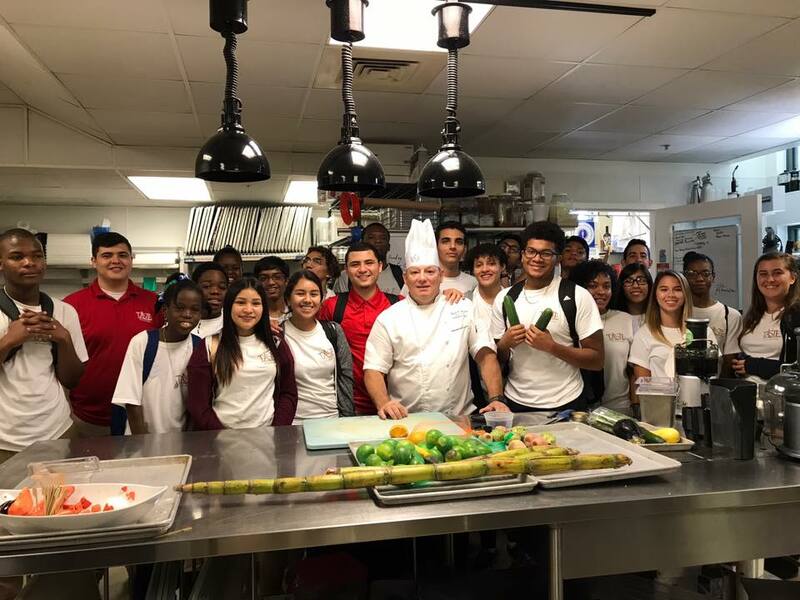 On June 29th the Taste of Immokalee team took a trip to Kensington Country Club to meet with its executive chef, Chef Ralph. They tasted our fresh juices from the Immokalee Farmerâ€™s Market that consisted of hibiscus juice, horchata, melon, and tamarind. Then, the real fun began. All around the room shouts were heard for juice creations. 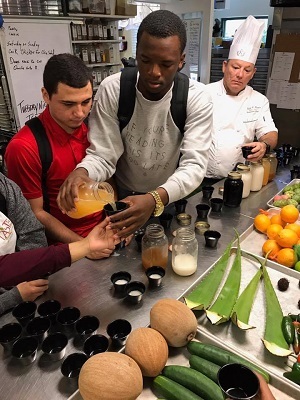 Using the juices and the fruit they bought from the Immokalee Farmerâ€™s Market, they made creations. They started out with the generic cucumber and watermelon but it didnâ€™t have the â€œwowâ€ factor. They cycled through a multitude of juices, each being passed around the table for the whole team to try. However, they ran into a couple problems, one was the Mammey. The Mammey was too dry and it made no juice. Chef Ralph called it a bust as it finally fell out of the juicer in clumps. Another problem the team encountered was the sugar cane. They all hoped it would be this glorious straight sugar that would definitely make them crash later. It turned out that the sugar cane wasnâ€™t all it was cracked up to be as Chef Ralph broke it open on his knee. Juice immediately spilled out but after that the cane was as dry as the dirt it grew from. The teamâ€™s favorite juices turned out to be a large combination of fruits. One was a mango, watermelon, orange, and lime juice. It gave a different taste that made their mouths water. The other one was a hibiscus, orange, and lime juice. It left your mouth watering as the citrus juice lingered. Which one are they going to choose? 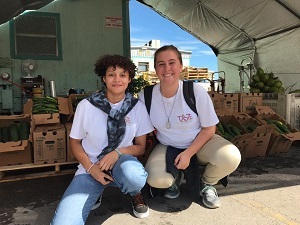 The YMCA has played a huge part in the amazing opportunity presented to the Taste of Immokalee team. The partnership with the Y has given the team an even bigger reach towards their goals. Kensington Country Club gave us the chance to taste test our new and very different tastes. Taste of Immokalee and all of its employees thank Chef Ralph and Kensington Country Club for giving us this amazing opportunity.